that girl in the wheelchair: I'll take the physical challenge. Last month, while attending a Christmas get together with my gimp squad [Tangent: I have written about this group of friends here...but now the gimp squad has widened to accept other mutal non-gimpy friends and significant others. We have coffee mugs and meetings. Trust- its legit...and completely ridiculous. ], somehow I got to reminiscing about an episode of Family Double Dare I saw as a child that featured a contestant in a wheelchair. [Tangent: My life as a youth was at least 97% Nickelodeon, especially the game shows....Nick Arcade, GUTS, Wild & Crazy Kids, Legends of the Hidden Temple and even Finder's Keepers, which me and my sister used to play as a tragically lame home game. You're quite welcome for posting links to their youtube clips. May you fall through the nostalgia portal as I did earlier this evening.] Let that steep in your brain a moment: a young person with no use of their lower extremities getting slimed and awkwardly trying to fill a beaker on her head with green goop. I thought I had made up this episode, so I took to the Internet to make sure it wasn't a part of some weird Marc Summers dream sequence that lives in my mind. Eureka! It is real....I found it. I don't mean to say that wheelchair people can't do everything non wheelchair people can do. Wait, no...that's exactly what I'm saying. Sometimes, there are things that are just not gonna happen. Example: I will never win the Guiness world record for standing on one foot the longest. I have accepted this reality and am at peace with it. Sometimes, there are just limitations or adaptations have to be made or else it just kind of becomes a spectacle and hard to watch. Thankfully the good producers at Double Dare put the sedentary young girl in some of the more docile stops on the obstacle course [Tangent: I feel like throwing her down the glop covered mouth slide and then watching her scramble around to fetch the flag and get back in her chair would be hard to watch and in slightly poor taste. Good judgement call, DD team.] But even as I watched this clip, I thought, "hmmm...she's gonna pull the cord on that blimp and the flag is gonna land on the ground. What are the chances it will land on her lap. There is NO way they will get this done in the time limit." And...I was right, like flustered insects, the never before seen stage managers and spotters skittered out to help the young girl make it through to win at least half of the available prizes. 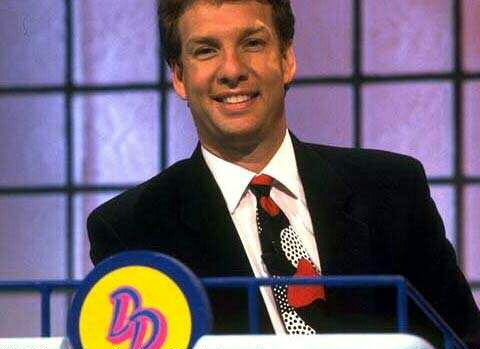 I don't mean to be a neighsayer, I just don't know if Double Dare is the venue to start showing that people who are different can do anything....because sometimes that's just not always true. We can do most things...just maybe not things that involve obstacles and a 60 second time limit. I wish I could have found the whole episode on youtube to see if there were any heartwarming puns made about "accepting the physical challenge." Since there wasn't, I'll make one - I accept the physical challenge everyday, where's my Casio keyboard? Where's my accessible Agro Crag? !